Lumberton, NJ, June 30, 2016 (Newswire.com) - A Photovoltaic Power Plant (PVPP) “Lumberton solar W2-090 LLC (Lumberton Solar) “wholly-owned by Taiwan G.D. Development Corporation (G.D.), had its grand opening at South Jersey Regional Airport on June 29th, 2016. Chairman Lin Jiung-Hwa of (G.D.) and Chairman Liu Wei-Shu of Lumberton Solar (Lumberton solar 100% owned by G.D. ) co-hosted the ceremony, and a number of respected guests were invited to be a part of the celebration, including the General Assembly Deputy Speaker of New Jersey Mr. Gordon Johnson, Director General of Taipei Economic and Cultural Office, Hsu Li-Wen, Lumberton Township Deputy Mayor Mr. Mike Dinneen, American Institute in Taiwan, New Jersey largest gas and electricity provider PSE&G Interconnection Planning Manager Mr. James A. Calore, and pioneers in the PV industry (SunPerfect Solar, Inc. CEO & President Mr. Willy Chow, Bank SinoPac LA Branch Vice President Mr. Homer Hou, H&Y Associates Inc. President Mr. David Yen, Auxin Solar Inc. Co-Founder Ms. Sherry Tai, Conti Enterprise LLC Vice President Mr. Matthew Skidmore, SIC USA LLC Senior Director Scott Sullivan). According to B.J. Liang (President of G.D. and Lumberton solar), G.D. was founded in June 2011, is a joint venture between GINTECH Energy (Ranking top 10 Solar Cell manufacturer worldwide ) and K.D. Holding ( belonging to CTCI Group : CTCI ranking top 100 EPC contractor worldwide ), and G.D. focuses on the Development, investment, operations and maintenance of PVPP. 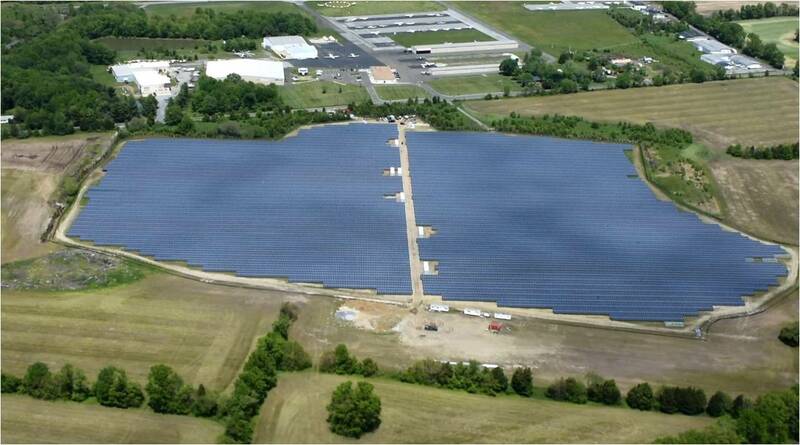 The construction of Lumberton PVPP 9.5 MW in New Jersey was inspected successfully and place in service this past April. Thanks to a 12-hours time difference between Taiwan and New Jersey, US, dusk in the States is dawn in Taiwan, and this provides a great opportunity for a continuous cycle to generate solar power. Since April of this year, the PVPP systems of G.D., both in Taiwan and the U.S., have been running around the clock. They were designed to provide clean energy for the Earth, to mitigate global warming, and to contribute to the development of global sustainability. Lumberton PVPP is conveniently located at central New Jersey, US, in between the financial district of Manhattan, New York, and the U.S. capital in Washington DC. The plant covers around 200,000 square meters (around 50 acres) and enjoys the convenience for transportation with its proximity to major roads and South Jersey Regional Airport, which is right across the road from the plant. Due to the flat terrain of PVPP’s location, along with the better air quality and low temperature, PVPP is able to generate 12,000 MWhr of green energy per year despite the location’s high latitude. The PVPP’s annual output is equivalent to that of Taiwan. G.D. contributes 33,000MWHr electric power, and reduce 23,000 metric tons of carbon emission annually, which equals to build about 5 Manhattan Central Park, New York (around 62 Taipei Da-an Forest Parks). Lumberton Solar Project is the G.D. first PVPP project in United States that is developed, invested, constructed, operated, and 100% owned by G.D., under the guidance and rigorous inspection of GDDC’s two-term Board chairmen and Directors , the corporation solved lots unpredictable problems, obstacles, and challenges (including amendment and modification of US domestic and international laws, drastic price variation of materials in the international photovoltaic market, change of the US local operating conditions, the biggest snow storm of the East coast in the U.S. for centuries, and hurricanes) in the past 6 years. Lumberton Project finally kick-off site work in July 2015 with the assistance from U.S. domestic and oversea partners, and completion under a very tight schedule. The whole project site work was completed at the end of March, 2016, despite of very limited resources and manpower. 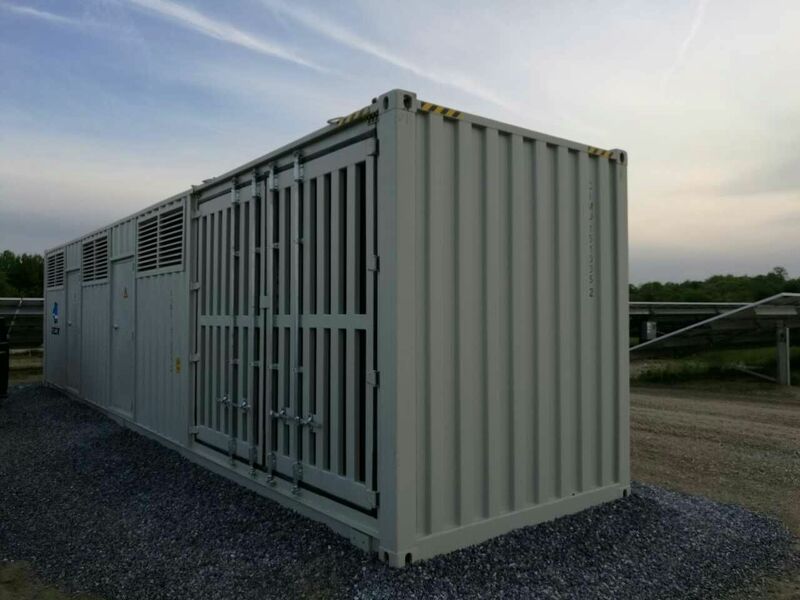 Later in April, it successfully interconnected with PSE&G (NJ power grid company), to generate and transmits power into PJM market. In addition to the Lumberton PVPP in New Jersey, U.S., G.D. has developed, invested, constructed, and operated over dozens PVPP in Taiwan together with corporations and the government such as Taiwan High Speed Rail, Kaohsiung Rapid Transit Co., Kaohsiung International Airport, Tainan Airport, Logistics Corp. (YangMing Marine Transport Corp.), Port of Kaohsiung, Kaohsiung City, and Tainan City during the past 5 years. G.D. is now a well-known and essential investor in Taiwan’s PVPP Development, investment and operation. In the future, G.D. will still survey suitable potential projects, while continuously develop, invest, construct, and operate high quality and robust PVPPs, in its continued fight against limited resources for the development of global sustainability. 1. With the mission to protect our Mother Earth, G.D.’s projects in both Taiwan and the U.S. are running 24 hours every day to produce green energy. 2. The location of the PVPP is very close to the financial and political centers of the U.S.
3. The PVPP is 100%, invested, owned, and operated by G.D. with its independent capital. 4. One of the few projects to have secured cash grant subsidy from the U.S. Government. 5. Adopted Taiwan Solar Cell but solar module manufactured by the U.S. factory. 6. Project revenue comes not only from selling the electricity power generated by PVPP but also from SREC trades (Solar Renewable Energy Certificate), which is similar to the concept of carbon trade. 7. During the Early Developer Stage, G.D. worked closely with engineering companies, law firms, accounting firms in the U.S. to organize relevant details prior to the EPC (Engineering, Procurement, and Construction) Stage. During the EPC Stage, G.D. work with domestic well-known construction company and hired 100% union worker on site, perfectly utilizing the U.S. resources to the project.